Description: Olivia has a terrible tooth ache, and needs you to help her. Make sure she's brushed her teeth and then carefully tend to her cavity by cleaning it out and applying a filling. 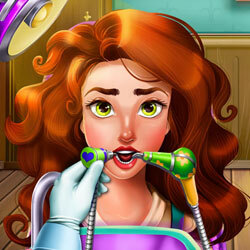 With you as her dentist, she'll be pain-free in no time!